Hat Tip to Harrison Fluss. Good blog over at the Irish Left Review on house prices. He takes the data from the the Department of Environment’s Housing Statistics. 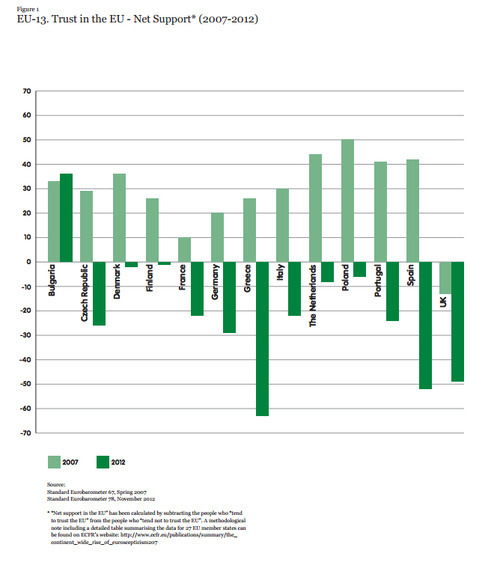 However much of the blog argues that the gap was speculative and this shows that “household debt did not become a crisis because people ‘went nuts’ buying houses”. I find this hard to believe. A shift in house prices like this is a transfer of money from homebuyers to homeowners. Now sure, that includes property developers who bought in order to sell and obviously began with owning a lot. But it also involves people who simply owned houses, i.e. ordinary middle aged middle class ‘working people’, to use Uncle Joe‘s phrase. We can’t explain everything by blaming the ruling class. Sometimes one section of the class gains at the expense of another. In the case of the housing bubble, homeowners gained at the expense of home buyers. This is nearly a year old now. It’s from August but I missed it. On 14 February 2010, 20 prominent economists wrote to the Sunday Times in support of George Osborne’s deficit reduction strategy. They said: “… in order to be credible, the government’s goal should be to eliminate the structural current budget deficit over the course of a Parliament, and there is a compelling case, all else equal, for the first measures beginning to take effect in the 2010/11 fiscal year.” The Chancellor hailed their letter as a “really significant moment in the economic debate”. Two and a half years later, the UK is mired in a double-dip recession and Osborne is set to borrow £11.8bn more than Labour planned. For this week’s issue of the New Statesman (out tomorrow), we asked the 20 whether they regretted signing the letter and what they would do to stimulate growth. Of those who replied, only one, Albert Marcet of Barcelona Graduate School of Economics, was willing to repeat his endorsement of Osborne. Nine urged the Chancellor to abandon his opposition to fiscal stimulus and to promote growth through tax cuts and higher infrastructure spending, while others merely said “no comment” or were “on holiday”. “1. One of the important functions of fascism, as typified by the Nazi system, was to remove capitalist objections to full employment. 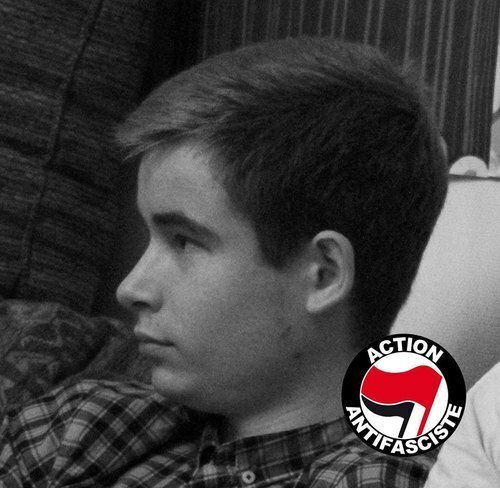 Clément Méric, an 18 years anti-fascist activist and student syndicalist activist, was declared brain-dead this morning. He was attacked in the heart of Paris by extreme-right skinheads. A very rough translation of the statement by his union, Solidaires, is below. On Wednesday, June 5, 2013, leaving a clothing store near the Saint-Lazare, our comrade Clement, a unionist in Solidaires Etudiant-e-s and Antifascist Action Paris-Banlieue activist, was beaten to death by members of the extreme right. The death of our comrade takes place in the context of the development of a violent fascist movement in France and elsewhere in Europe. Clement is in a brain dead state Pitié-Salpêtrière Hospital due to his injuries. His loss overwhelms us. Our pain and anger are compounded by the certainty that there are very many, antifacist activists and people exposed to homophobia and/or racism, who could and can still be victims. Today all our thoughts are with his family, his loved-ones and his comrades in Solidaires Etudiant-e-s with whom we express our solidarity. This heinous act is inseparable from the increase in racist attacks by homophobic right-wing extremists over the past months and the creation of a climate of hatred, which is maintained by political speeches condemning not exclusive of the National Front and fascist factions. Beyond the police and judicial action, it is time to strengthen the anti-fascist movement. With Solidaires Etudiant-e-s, the Solidaires union calls on all those who condemn this heinous act and refuse to tolerate the extreme right vermin to participate massively in many rallies today and in the coming days in Paris and in the provinces. This includes the demonstration tonight Thursday, June 6 from 17 h in front of the passage of Havre Saint Lazare metro and then join the Saint Michel 18 H 30.